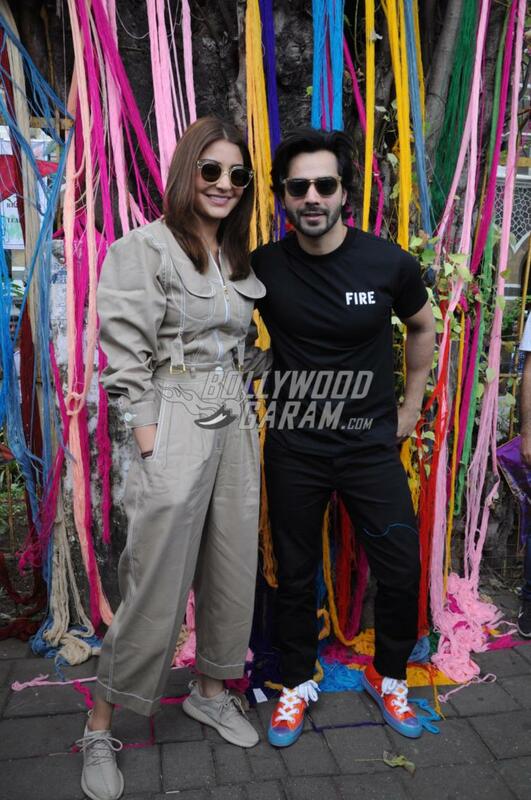 Varun Dhawan and Anushka Sharma landed at a college to promote their upcoming flick Sui Dhaaga – Made In India. The actors were seen at their stylish best as they were snapped outside a college and had fun together on September 6, 2018. Anushka looked pretty in a high waited khaki pants with a matching crop top while Varun looked uber stylish in an all black outfit. Varun and Anushka are all set to be seen in the upcoming flick Sui Dhaaga – Made In India directed by Sharat Kataria. The Dilwale actor will be seen playing the role of a tailor named Mauji while Anushka will be seen playing the role of Mauji’s wife Mamta, who is an embroiderer. 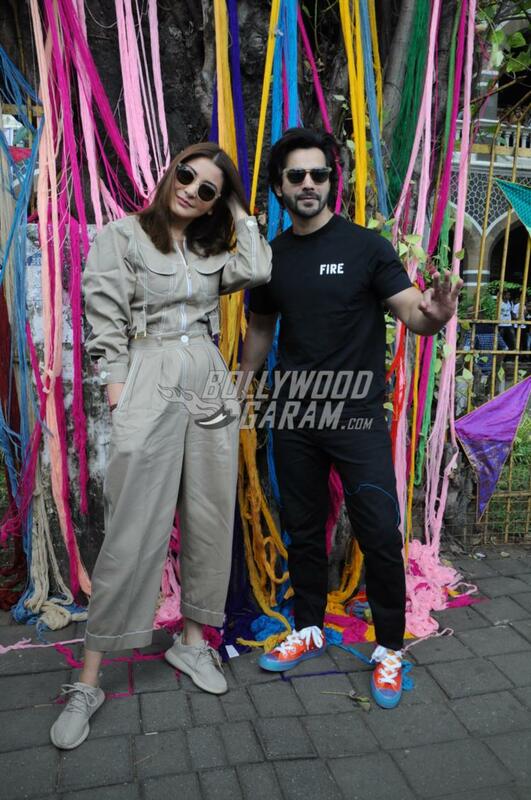 The actors at the promotional event were seen decorating the college gates with cloth décor which had the film’s name Sui Dhaaga – Made In India written on it. Varun and Anushka were seen clicking selfies and posed generously for the paparazzi. 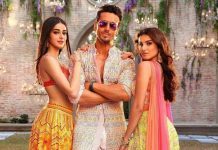 The film is produced by Maneesh Sharma and is ready to be released in theatres on September 28, 2018.